When should you drink prune juice? If you’re having a problem with regular bowel movements, experts say, prune juice may be the solution you’re looking for. 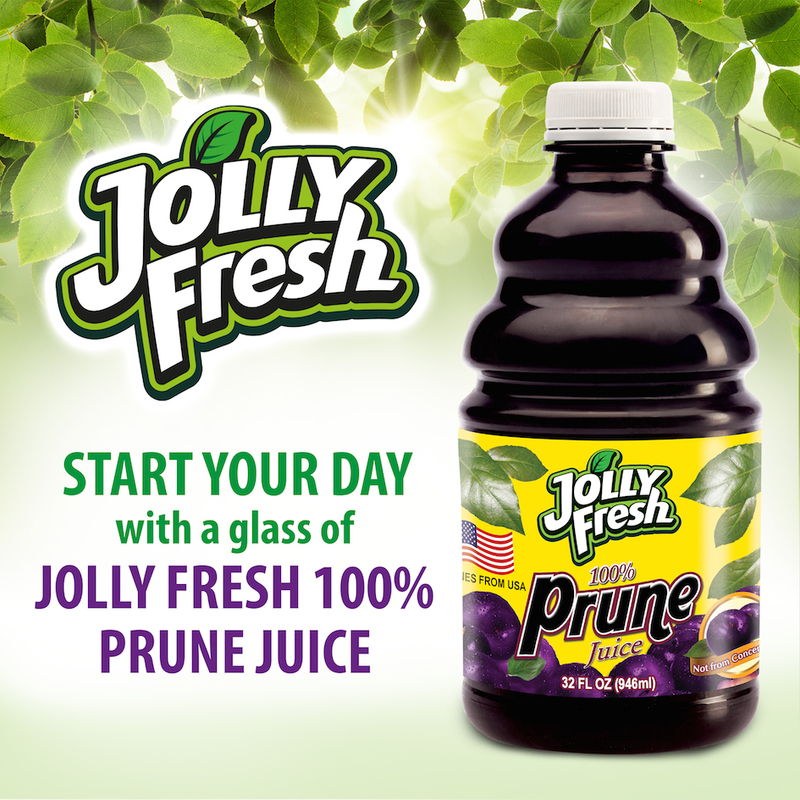 Start your day with a glass of Jolly Fresh 100% Prune Juice that is made from dried plums or prunes from California because it contains essential nutrients, antioxidants and fiber. A hydrator that’s made of 100% prune juice, you’re guaranteed that it’s a natural health booster and a rich source of energy. It is a great addition to your diet too as it is rich in fiber and fat-free. Prunes are rich in fiber that aids digestion and regulates bowel movement. Whether you are drinking the juice of snacking on dried prunes, you get the benefit as fiber acts as a natural laxative that prevents constipation. Prunes help control the bladder. Adding fiber to your diet can help control your sudden urge to pee! How? 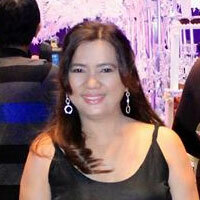 Regular bowel movement decreases pressure in your tummy, and so you feel less bloated too. We recommend drinking a glass of prune juice every morning. Prunes are high in potassium, an electrolyte that helps the body function. Potassium is a mineral that helps with important body functions such as digestion, heart rhythm, as well as blood pressure. Prunes are high in vitamins, packed with iron, and contain high levels of antioxidants. Both the juice and the whole fruit prevent a multitude of deficiencies and pose positive effects on the body – from stronger bones and muscles, lower blood pressure, and healthy respiratory system. Add Jolly Fresh Pitted Prunes to your breakfast oatmeal, baked goods, or create a healthy snack by mixing them with dark chocolates, dried fruits, and nuts. You’ll feel healthy, jolly and fresh when you know you’re taking only the good stuff! 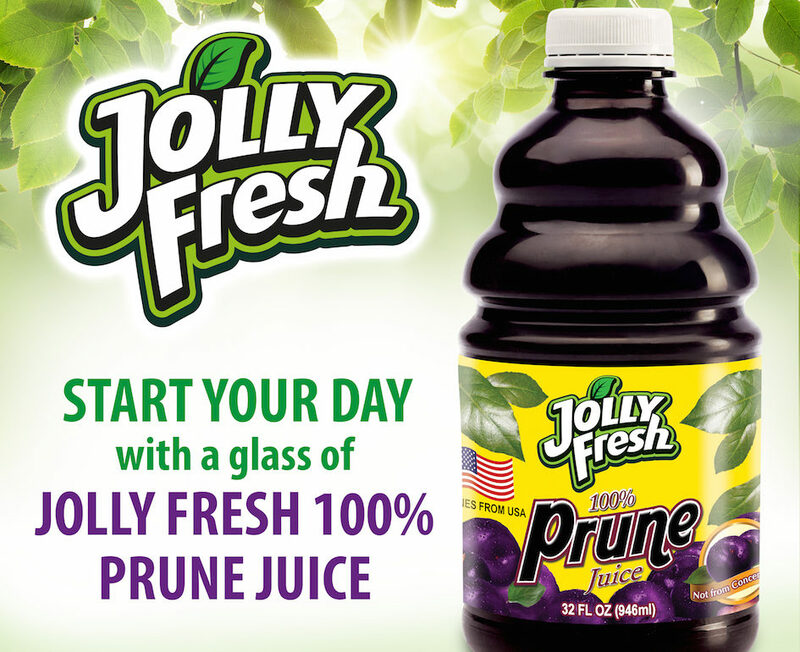 Jolly Fresh Pitted Prunes & Prune Juice are available in Mercury Drug and leading supermarkets such as Robinsons, Puregold, Rustan’s, Shopwise, Walter Mart, Landmark and in grocery stores near you. 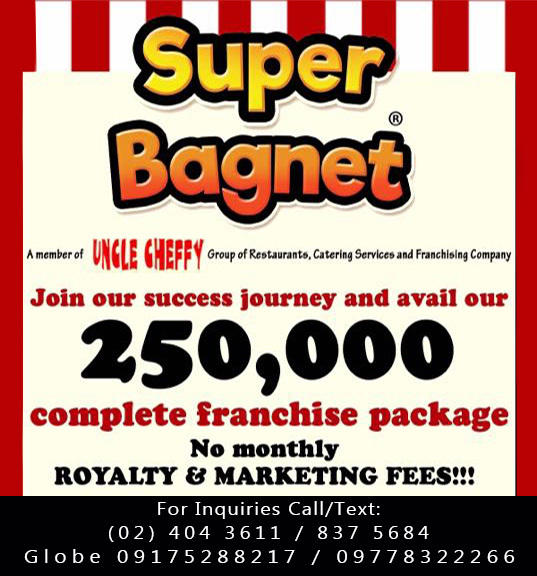 Jolly Fresh is exclusively distributed by Fly Ace Corporation in the Philippines and is available in leading supermarkets and drugstores nationwide.